A physician/family owned and operated laser clinic in Houston, TX. Since 2012, we have successfully treated thousands of patients using the latest and highest quality FDA-approved laser technology and procedures. We provide SAFE, EFFECTIVE & AFFORDABLE treatment outcomes for our patients and offer a comfortable and accessible clinic environment for both female and male patients. Is your tattoo no longer a desired part of your look or lifestyle? Since 2012, we’ve helped thousands of patients with safe, effective and affordable laser tattoo removal. Using the most advanced FDA-approved lasers, we treat all skin types and ink colors. We offer accelerated picosecond tattoo removal. Experience matters and we’ve got plenty of that. Do you work out, eat right, and just can’t seem to get rid of those stubborn areas of fat? Now you can with SculpSure, a breakthrough in non-invasive body contouring designed to target and permanently destroy fat in problem areas such as your abdomen and flanks in just 25 minutes – without surgery or downtime. Laser hair removal is the most popular, non-invasive cosmetic procedure performed today and for a good reason. It is finally possible to be free from shaving, waxing, and plucking forever and retain long-lasting smooth skin. Our FDA-approved laser is specifically designed for hair removal on all skin types. ‘HOLLYWOOD LASER PEEL’ FEATURED LIVE ON HOUSTON’S FOX 26 MORNING SHOW! We recently demonstrated our Hollywood Laser Peel™ treatment during a live segment on the Fox 26 Morning Show. In the run-up to ‘The Oscars’, Dr. Adeaze Okeke (Medical Director) explained why this gentle laser facial is so popular with Hollywood stars such as Angelina Jolie & Kim Kardashian before they hit the Red Carpet. Check out the video and click to learn more about this amazing 30-minute no downtime laser treatment. We are Houston’s only provider. They made the less than ideal situation of having a tattoo removed bearable. Always nice and professional and they offered to continue my treatments after Dr. Tattoff "mysteriously" closed it's doors with NO WARNING or refunds to be spoken of. I'd definitely recommend them!! Donna is very nice and a beautiful lady with a good spirit who works very hard! Love coming here will come again! Highly Reccomnended!!!! This place is amazing!!! I came to ink free md to remove a very large tattoo on my back. I am such a baby when it comes to pain, but they went over and beyond throughout my entire experience. I was offered numbing cream, a squishy ball, a machine that blows cool air (to help reduce pain), and they asked multiple times if I was ok. I felt like they tried their best to make it painless experience. Everyone is so nice and professional. Glad I came across this place! The best!!! I have been coming here for years. Reasonable prices, friendly and knowledgeable staff. Very professional and courteous. I am amazed at the results, both from laser hair and tattoo removal. Donna is who I usually see and she is the best! It is wonderful to go somewhere that by choice can be uncomfortable yet you really look forward to going because the experience is so pleasant and the staff outstanding. I have had laser hair removal with amazing results. My son went there to finish getting a tattoo removal. We both recommend Inkfree, MD to anyone!! I had been wanting to remove my tattoo for awhile; however, I was not sure which facility to trust with this procedure. Since I have know Dr. Adaeze Okeke and her family for over 25 years, I decided to schedule a consultation at Inkfree, MD. Dr. Okeke and her staff took the time to clearly describe the procedure and they made me feel completely comfortable. In fact, we started my laser tattoo removal treatment the same afternoon. After a couple more laser tattoo removal treatments, I was absolutely pleased with the results so I decided to go ahead and start laser hair removal treatments as well. I highly recommend the amazing staff at InkFree, MD!!! This place is amazing, the staff is great and very knowledgeable. I had 10 sessions here and i was in & out fast everytime. The tattoos are completely gone and I'm definitely going back to remove more ink in the future. Highly Recommended! Amazing placeNothing but progress here so far One tattoo gone, one more to goStaff is great tooJust trying to figure out how i get one of those GOT INK shirts! Laser tattoo removal without a doubt is excruciating. I can't even sift through my mind to find the right words to describe how painful the process is. It's like nothing I've ever experienced and unfortunately, something that I'll have to experience until my tattoo is gone. The domain of my tattoo is the size of three bills placed beside one another, so that's a whole lot of surface area to cover. In one session I endured and allowed for the entire tattoo to be lasered instead of small increments, and I need at least twelve sessions. Have you ever been bitten by an army of fire ants and felt the sting of their venom spread like wildfire? Essentially, you're getting zapped with a laser in the attempts to eradicate the ink particles that have been injected into your dermis. Your lymphatic system will help clear up the ink debris, and you'll begin to see the tattoo fade as each session passes.There is a numbing cream that you can apply thirty minutes prior to the procedure (which doesn't really work), as well as a machine that blasts cold air onto the surface of your skin during the laser removal (highly recommended because it slightly helps take the sting away). I always mentally prep and brace for the pain. Fortunately, I have been able to drive myself home, but I highly advise that you bring a person along for support and to take you home.This facility does offer a customized payment plan. 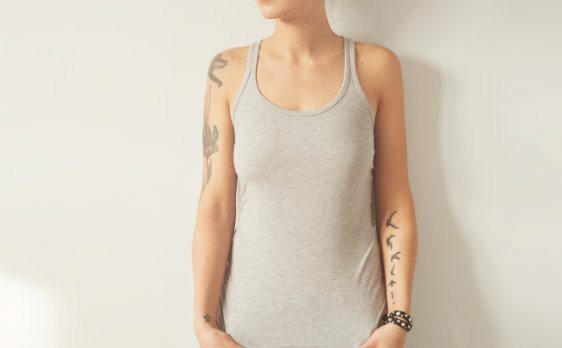 Laser tattoo removal is agonizing, so I suggest you think about the long-term effects of why you got that tattoo and the latter of why you want it removed because it's an exhausting and pricey process.Ms. Donna works with me, and she is very comforting and genuine. She helped me through this unpleasant process by making it more tolerable. Inkfree Md turned my life around. I am so grateful to God that I found them because they were actually used by God to perform a miracle on my face. I have had this very bad spots all over my face and my upper lip was so dark like I have beard, this was going on for years and I spent so much money going from one facial clinic to the other, they will promise to help me but at the end of several treatments, no cure, time wasted, money gone. It’s annoying to hear them try to convince me to try another treatment, this means all they have been doing with my face was trial and error. From the first day I stepped into inkfree md, they knew what my problem was and they were very honest to me. I started the treatment and lo and behold, it’s a miracle to see my face clear again. They are also very professional and very friendly, they care so much for their patients and their positive results. Donna, is amazing! I will recommend them to the world, they are incredibly awesome. Love everything about Inkfree! They are so welcoming and friendly. I got the Hollywood Laser Peel a few weeks back and I was a little nervous. The team calmed my nerves and talked me through the whole procedure. They were right... the treatment was painless. I am definitely going back to get a few more treatments before my wedding! Amazing facility and amazing staff - would highly recommend to anyone!! I went in for a laser removal tattoo consultation. I felt very comfortable with the young lady that saw me that I decided to get first treatment done that same moment. She was very fast and professional, and explained after care and all. I will be coming for the remaining sessions due to a Groupon gift, and will continue to come for remaining if necessary of the removal of my small tattoo. Very clean and nice place, surely recommend to check it out. Great Place!! The staff is friendly and very helpful, cozy office with lots of other services available not just tattoo removal. My first session was less than 10min. I look forward to going back again and getting more ink removed. I went for laser tattoo removal and Donna was very thorough, diligent and informative. I learned about how the laser tattoo removal works, and proper aftercare. She was great! AMAZING!!! I have been going here for tattoo removal treatments and everyone is very professional, tell you exactly what to expect, and are friendly and welcoming. I feel very comfortable during my treatments and already have 2 of my tattoos completely removed without a trace left!!! I couldn't believe that there was no scar either! The office is very clean, like a doctor's office, and I would certainly recommend their services to anyone looking for a reliable place to have tattoo removal or hair removal. AWESOME, great results!!! I loved this place, probably the best laser skin clinic in town. 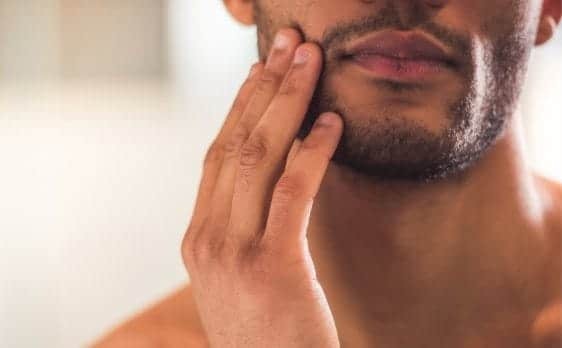 As a man, i felt very comfortable and hair removal results surprised me. Since then I purchased another package at this place and brought in my guy friend, who is very happy about his newly hairless back! This place is professional, very clean, the staff is very friendly. On a small downside, it is rather hard to get scheduled for Saturday - they are very busy, so plan ahead if you want to get in on Saturday. Best work & friendly staff! Well worth it! Great tattoo removal experience! I am almost done. The staff definitely makes you feel comfortable. Thanks a lot! Oh Donna thank you thank thank you for the service you provide. Having my tattoo lazered off and I won't lie I went in without any topical pain reliever and guess what? The machine she uses does have a sting but the other device she uses also cools the skin during the process. If you are looking for a place that is run by professionals. This is the place to get that procedure done. Ink Free MD worked well for me. I would recommend it because it is safe with minimal side effects. I did lazer hair removal and the result was great,I recommend this place. Amazing!!!! Have had a great experience with Inkfree, MD. Very courteous, professional and knowledgeable staff!